Meanwhile in the Gaza Strip, a Palestinian border official said earlier in the day that Israel is allowing construction materials into the Palestinian territory for the first time in six years, allowing them to be used by private builders. In addition to the commendable AP clarification from January, also data from the United Nations contradicts the claim that Israel has not allowed construction material into Gaza for six years. According to the United Nations’ Office for the Coordination of Humanitarian Affairs, from June 2007 until August 2013, Israel has allowed in 69,810 truckloads of construction materials into the Gaza Strip. The Kerem Shalom crossing will be closed from Wednesday because of the Jewish holiday of Sukkot. It will be re-opened on Sunday, when, according to Palestinian sources, Israel will increase the entry of construction materials destined for the private sector to 70 truckloads per day. Until now, Israel has approved the transfer of 20 truckloads of gravel per day to the private sector in Gaza. According to the latest reports, from Sunday, Israel will permit the transfer of 40 truckloads of gravel, 20 truckloads of cement and 10 truckloads of iron every day. 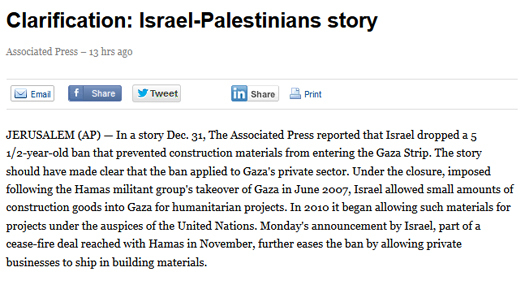 From mid-2007, Israel prevented the transfer of construction materials to Gaza’s private sector. At the end of 2012, the security establishment began allowing 20 truckloads of gravel, destined for the private sector, to enter the Strip per day. 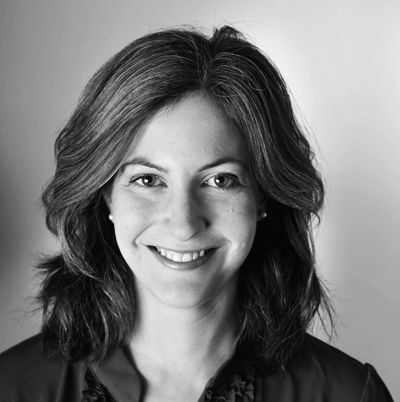 A Sept. 17 Times of Israel report is consistent with Gisha’s report that Israel’s new, less restrictive policy this month concerning the private sector allowed for the import of 70 trucks daily of gravel, cement and steel for the private sector, as opposed to the previously 20 permitted trucks containing just gravel. In further discussions with the AP bureau, CAMERA noted the frequent transfers of construction material for the commercial (private) sector throughout the year, documented by OCHA, Gisha, the Times of Israel and other sources. About these transfers, AP maintained that according to Nabil Abu Meilik, head of the Gaza Contractors Federation, the shipments of gravel throughout the year involved “goods delivered to private sector firms doing contract work for UN projects.” We did not find independent confirmation of Abu Meilik’s claim. Ha’aretz’s coverage in the Sept. 23 print edition faired even worse, with a blatantly false headline on page 2, accompanied by an article with an equally erroneous first sentence. 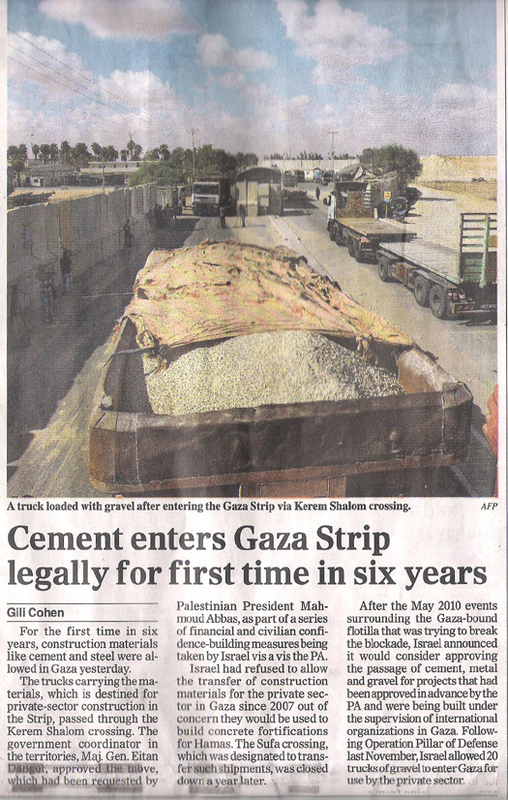 With respect specifically to cement, there is ample evidence documenting its legal entry into the Gaza Strip from Israel. For instance, according to COGAT’s 2012 summary report, 1,629 trucks of concrete passed into Gaza for international organizations in 2011. In 2012, that figure was 1,887. 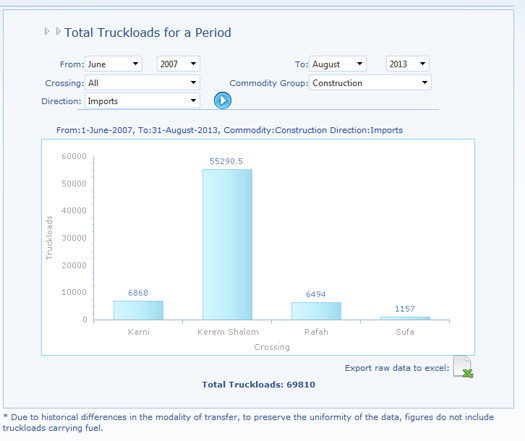 COGAT’s Feb. 5-111, 2012 “Crossing Status Weekly Report,” notes that 38 truckloads of cement entered the Gaza Strip during that one-week reporting period. According to the United Nations’ Office for the Coordination of Humanitarian Affairs, 1,600 tons of cement legally entered Gaza through the crossings from Oct. 2010 through Feb. 2011, and another 500 tons of steel entered during the same period. l were permitted for the first time for the private sector, whereas previously cement and steel were permitted only for projects undertaken by international aid organizations. 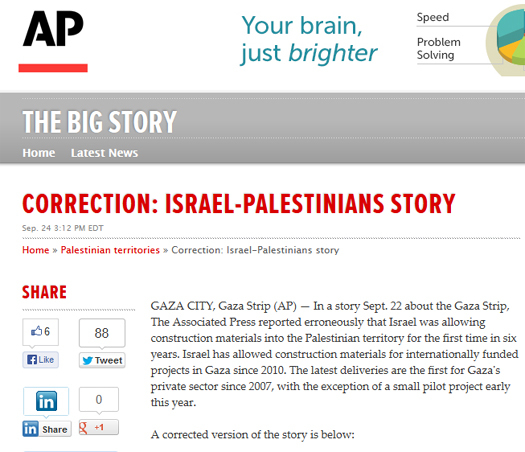 Ha’aretz, unlike the AP, has yet to issue a correction.